With all of the urban growth in Scottsdale and Phoenix comes a movement from suburban living fast forward to condo living--and why not? The appeal of condominiums is hard to ignore: you have the opportunity to be walking distance to work, shopping, restaurants, entertainment and more. Perhaps it’s time to consider an urban landscape for your next living space? 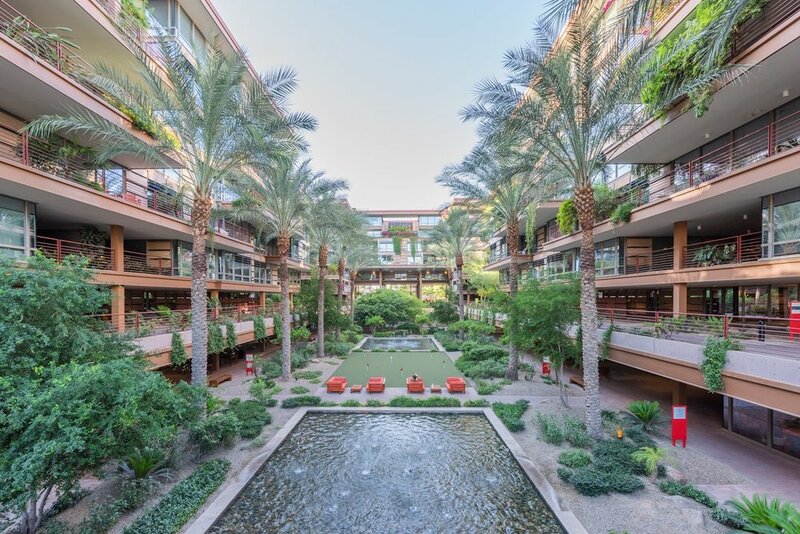 From luxurious sophistication set in 3,000 square feet on the 11th floor of exclusive The Residence at 2211 to the refined two-bedroom in the Optima Camelview, an architectural gem in the heart of Scottsdale, there is no shortage of fantastic options when it comes to condo living. Located in the heart of the upscale and desirable Biltmore neighborhood, the two-bedroom plus den, three-bathroom condo in The Residence at 2211 is the epitome of luxurious urban living. Considered one of Phoenix’s most coveted residential neighborhoods, Biltmore offers high-end shopping, restaurants, the prestigious Arizona Biltmore Hotel and Spa and two world-class 18-hole golf courses--all at your doorstep. The interior of the condo is the definition of modern elegance. 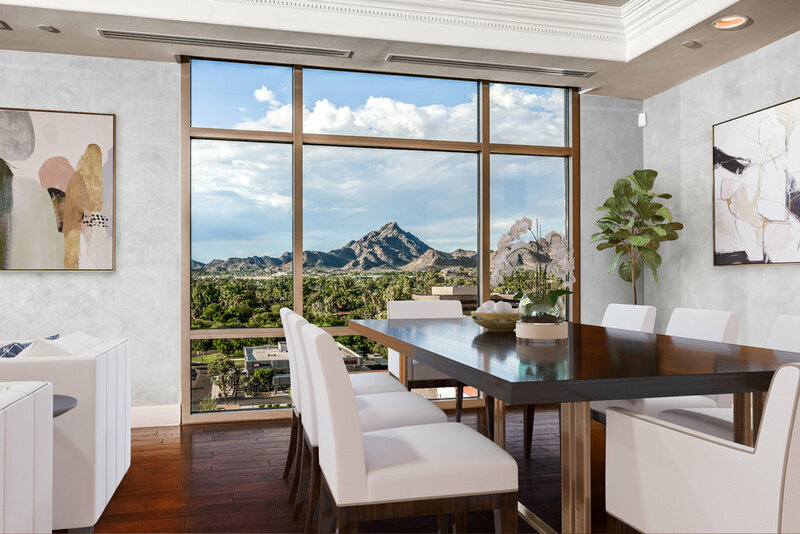 Get cozy in the stunning wood-paneled library or enjoy sweeping views of the Phoenix skyline and mountains through floor-to-ceiling windows and balcony access from every other room. Beyond the doors of the condo, take advantage of the incredible amenities at The Residence at 2211 including a 24-hour doorman, valet parking, concierge, security, and building-management. Partner those perks with the swimming pool, fitness center, sauna and dog park. There’s no question that this is the essence of cosmopolitan living. Set in the heart of Scottsdale, the Optima Camelview is a collection of architecturally unique condo buildings that offer an urban oasis on a 13-are site in the heart of bustling downtown Scottsdale. 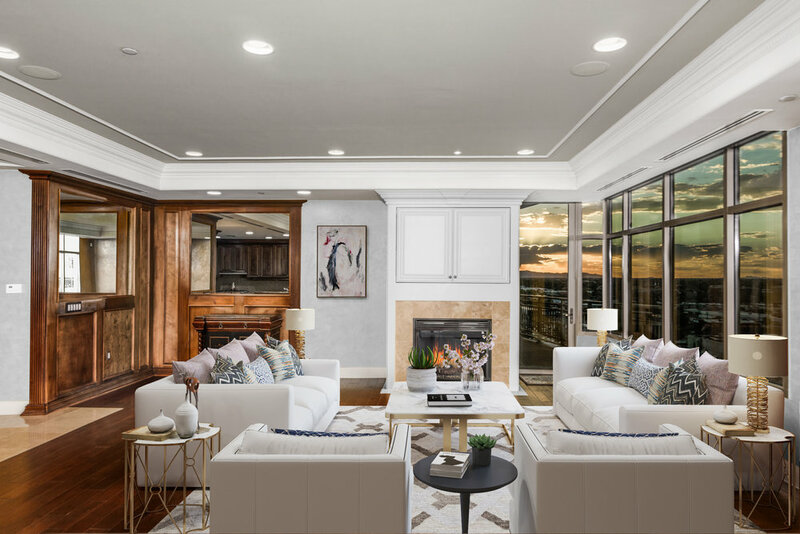 Nearby highlights include newly renovated prestigious Scottsdale Fashion Square with over 225 retail / dining options, Camelback Mountain, The Phoenician Resort and Spa, Ocean 44 (coming soon!) and 800+ downtown Scottsdale restaurants from charming casual dining to world-class culinary experiences, coffee shops to gastropubs. Inside unit 4004, this refined urban space is centrally located on the 4th floor and has premier interior south views from its two terraces, and the updated, streamlined decor exudes modern sophistication. Bask in the abundant natural light from floor-to-ceiling windows and enjoy bamboo hardwood floors in an easy-living layout featuring two bedrooms and two full bathrooms. 24,000-square-foot fitness center, three pools, racquetball and basketball courts, and the convenience of two dedicated parking spots. You may be asking yourself, when can I move in? These are just two opportunities of modern condo living in the Scottsdale/Phoenix area. With everything they offer, it may be time for you to explore the opportunities and benefits of living the sophisticated urban lifestyle.